Comparing to previous updates, it one is not so big and it contains one new feature and three enhancements, as we need some time to warm up after the long vacation. This feature is scheduled for quite long time. 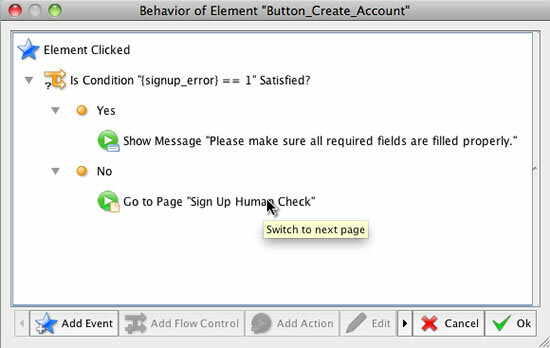 It is very useful to explain the actions associated with element or page, just like the comments on source code. In V2.67, when you open the action editor for element or page, you will see a new sub view on the right, which can list all notes for the actions. To add or edit the note for entity, just choose the “Edit Note” item from the context menu, or just double click the row in the not view. The note view is resizable and you can hide it by dragging it to rightmost border. The note can still be shown in the floating tooltip. Now the note editing can support multirow, no matter for element’s note or action’s note. Just click the “Multirow Note” checkbox to toggle the single/multiple row modes. Allow selecting previous/next entity with UP/Down arrow in action editor.